The Kebbi state government, has attributed the high rate of child hawking in the State, to the influx of children from Niger and Benin republic. 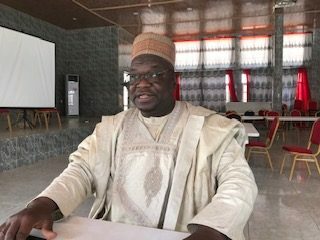 The Kebbi state Commissioner for Education, Muhammad Magawata Aliero, who disclosed this in an interview with newsmen in Birnin Kebbi, after a UNICEF’s media dialogue on “Cash Transfers for Improvement of Girls’ Enrollment in Schools”, said the influx is as a result of search for greener pastures. Aliero said: “Kebbi is bordering two countries. I mean the Republic of Niger and Benin. Around this time, there is a lot of influx of their children for greener pasture in the country. “Two years ago, the governor saw two trucks filled with children of various school ages coming into country. He stopped them and they said they were going to Zaria. “When it is the rainy season, you won’t see them. They would have gone back for farming. “Although in our state we identified about 800,000, but during the rainy season they were about 400,000 to 500,000. Then we discovered that the influx from Niger Republic and Benin Republic is the cause. Speaking on the Cash Transfer Program (CTP), implemented by UNICEF in some northern states to encourage parents to get their children, particularly females, enrolled in school, the commissioner said the intervention has increased attendance in schools in Kebbi. Through the intervention, UNICEF and its partners disburse N8,000 to the children every term, to encourage them to remain in school and get formal education.